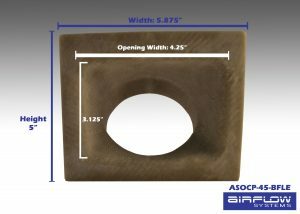 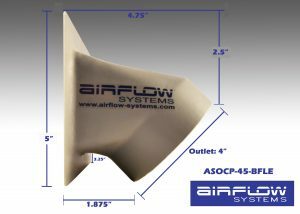 The oil cooler ducts shown here are an elegant answer to a problem frequently confronted by many aircraft builders; how to efficiently deliver cooling air to engine oil coolers. 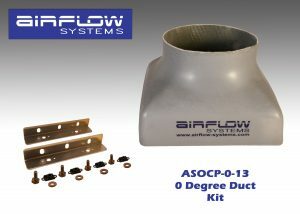 Hours and hours of custom fabrication can be avoided by utilizing one of the oil cooler ducts shown here. 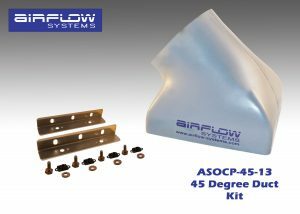 To get maximum performance from an oil cooler the cooling air should be uniformly distributed across the face of the cooler. 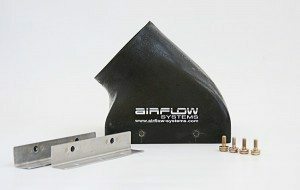 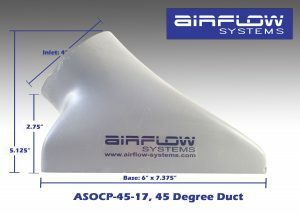 The ducts offered by Airflow Systems have been designed utilizing Computational Fluid Dynamics (CFD) and have been flow bench tested to validate that computer modeling to ensure best possible air pressure on the face of the oil cooler. 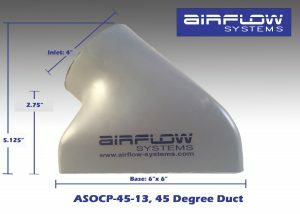 Comes with necessary mounting hardware. Please be aware that all provided dimensions are approximations. 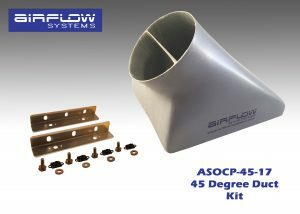 Fits 2006X Oil Cooler, or any 13 Row Oil Cooler. 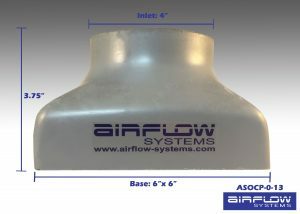 Fits 2008X Oil Cooler, or any 17 Row Oil Cooler.